I’m convinced I was born without the “mom gene.” My hypothesis is confirmed repeatedly whenever I am engaged in activities with my kids. For starters, I’ve never been one of those moms who comes prepared with Mary Poppins’ purse filled with everything but the kitchen sink. Instead, I’m the mom who shows up at a sporting event forgetting to bring sunscreen, snacks or drinks. Yep, you know who I am. I’m the one who lets my kids leave the house in the spring or fall without a sweatshirt and you see them shivering in the fetal position under my jacket as they sit on the sidelines or are at a gathering with friends. I’m also the mom whose eyes start rolling towards the back of her head when around other moms as they talk about recipes and sure-fire remedies for sore throats, poison ivy or engage in the popular topic of identifying lice. My brain cannot process information and I quickly fade away, taking cover in a safe mental space where children do not exist. Don’t get me wrong – I love my kids tremendously and could not possibly be more grateful that I was blessed with my two boys. However, I have had to learn to accept that I did all this while suffering from a significant deficiency. 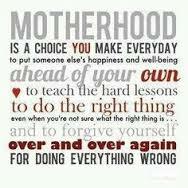 Without question, I am typically an epic failure when it comes to the hard-core mom stuff. Sure, I can clip nails (although one of my early attempts landed my then 5-month old firstborn in the ER for stitches), clean wax out of the ears and dispense medicine. I have a first aid kit to tend to minor scrapes and cuts and can navigate my way around Neosporin. But, that’s all folks. That’s the end of the road. I don’t cook meals, I loathe the field trips and I am doomed if left to create a costume. Halloween gives me hives. Over the years, after packing for more than my share of guilt trips, I have come to accept my lack of mad mom skills and have tried to stop beating myself up. Every trip to the playground used to leave me penitent when the other moms would pull ziplock bags out of their designer diaper bags filled with pretzels or goldfish crackers. I’ve now moved beyond the shame of each and every time I needed to borrow a wipe or a bandaid when one of my children skinned a knee or had ice cream dripping down their face, shirt, hands and legs. It was a quickly learned lesson that I would just never be that person. I’m not that mom. And, frankly, I am in awe of those women who can pull a stick of gum, a tissue, a tweezer or an assortment of other devices out of their bag and turn themselves into MacGyver. I just watch in wonder. Of course, this does leave me with just a wee bit of insecurity. I can’t help but wonder if I’m not that mom, then what kind of mom am I? Am I just the one who spends all her time working and has missed out on all the milestones and accomplishments? How many more times will I rely upon Facebook to see photos of concerts, field trips or games? I’ve battled these questions for the past 14 years and cringe every time I hear another parent say when they meet me for the first time: “Oh, you’re _____’s mom!! I wondered if he had one…” Really? When my children were born, I didn’t really give much thought to what kind of mother I would be. The excitement of my first born’s arrival was surely coupled with typical first-parent worries but I simply assumed I would figure it out. I wasn’t the expectant mom with a birth plan (just get him out as painlessly as possible was my mantra) and I never wrote a manifesto for myself outlining the type of parent – or more specifically, the type of mom – I wanted to be. My main objective was always very clear – to love my kids and send them out into the world feeling confident and secure. If I was being truly honest with myself, I couldn’t guarantee that I had much more than that to offer. I had no real mommy role models because my own mother was deficient in her own ways and all the other moms I knew were glorified from afar and I didn’t get to see the true inner workings of how they pulled off what they did. I was never even sure that all those moms who were ever-present and running the PTA were, in fact, the best moms. The true test, of course, was how their kids turned out in the end and how the kids felt about their moms when all was said and done. Ultimately, while I hated when my own mother said this, I now know she was spot on – you do the best that you can. I joke about my obvious shortcomings with friends and they kindly remind me of all the good things I do for my kids. I talk with more seasoned moms who have seen the fruits of their labors with grown children and they reassure me that my children will be ok. And, there is no doubt for me that I am an incredibly loving and supportive parent and play a critical role in my sons’ lives. I just don’t fit the traditional Carol Brady or Harriet Nelson or whomever the most current ideal mom role model is. I don’t fit into any of those archetypes. Someone recently made a comment to me that my children follow the course I set for them and I thought long and hard about that because it seems unreal to me that I have set any course. Every morning I wake up and feel like I am winging in. I have no idea where the day will take me when it comes to my kids and I hope and I pray that I will have the right answers and the wisdom to guide them as they blaze their own trails. I have never dictated (nor has my husband) their journeys and have only encouraged the interests they have demonstrated a passion for. We set ground rules for behavior and have laid out our expectations as it relates to respect, hard work and honesty but, beyond that, the road has always been theirs to explore. I have loved my children with every ounce of my being and remind them frequently how much they are loved and supported. And I also remind them that if the requisite ingredients are not in the house, I might not be able to procure cookies, cupcakes or a last-minute cake. I simply don’t have those skills. I have taught them about responsibility and how to respect women. My very existence is evidence of what is possible for women who seek fulfillment both professionally and personally.